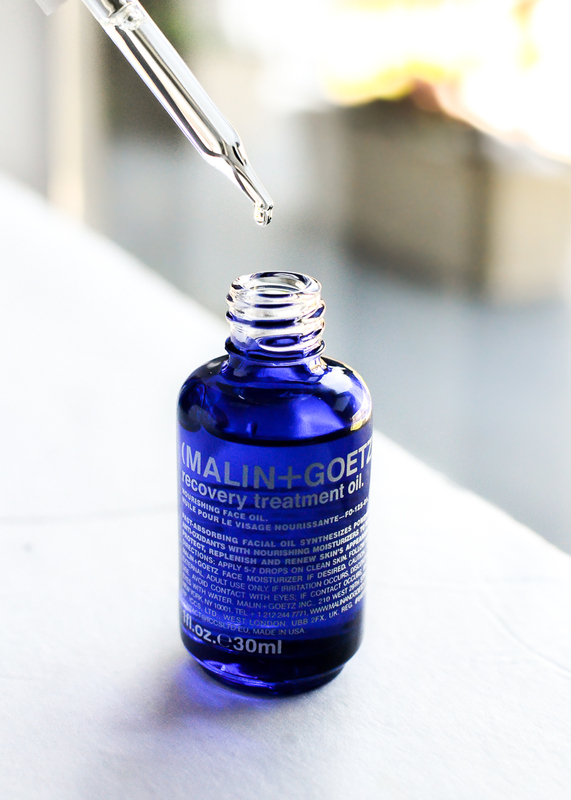 Malin Goetz Recovery Treatment Facial Oil is a luxurious blend of nine natural oils to protect the skin from free radical damage and improve skin health. 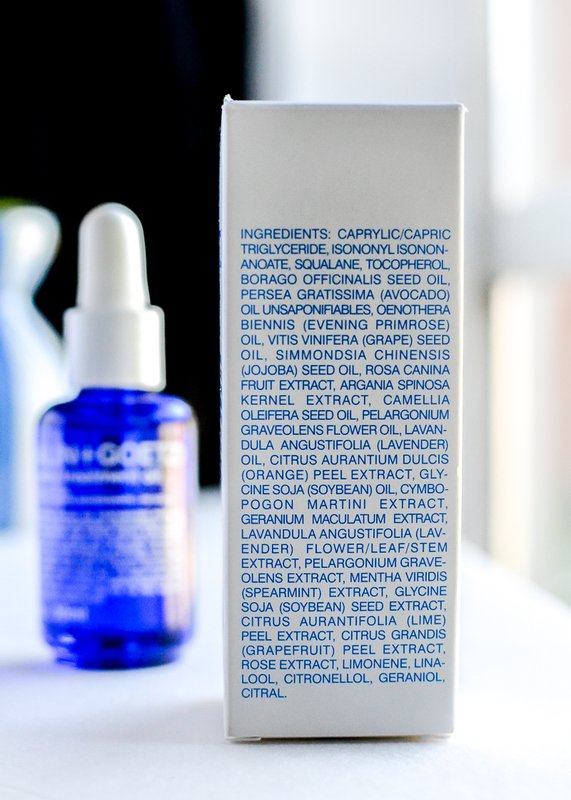 The ingredients list boasts evening primrose, argan and jojoba oils (to reinforce skin’s moisture barrier and soften the appearance of lines and wrinkles), grapeseed and rosehip oils that provide vitamin C and E (to prevent free radical damage, improve elasticity, and restore a healthy complexion), as well as geranium and borage oils help to reduce inflammation and balance skin by normalizing oil production. I have oily-combination skin, so I generally stay away from heavier moisturizer and/or antiaging products, but my skin has been getting occasional dry patches, so I have been trying out adding facial oils to my skincare routine. Scroll on for more. This is a light (by oil standards) oil with a fresh herbal smell to it and spreads quite easily on to the skin. I apply this after serum and before moisturizer, and to use, I spread a drop or two of the oil between my palms and press it into the skin. For my oily-combination skin, a drop or two is more than sufficient, and it adds a sheen to my skin - more luminous glow than greasy. I have noticed a definite improvement in my skin's appearance since I started using this oil - my skin had been looking dull with a few dry skin patches along the forehead, and this oil has helped brighten my skin. As much as I appreciate the benefits of using this oil, I do use this oil only at night, and I amn't sure if I would need this during the summers. 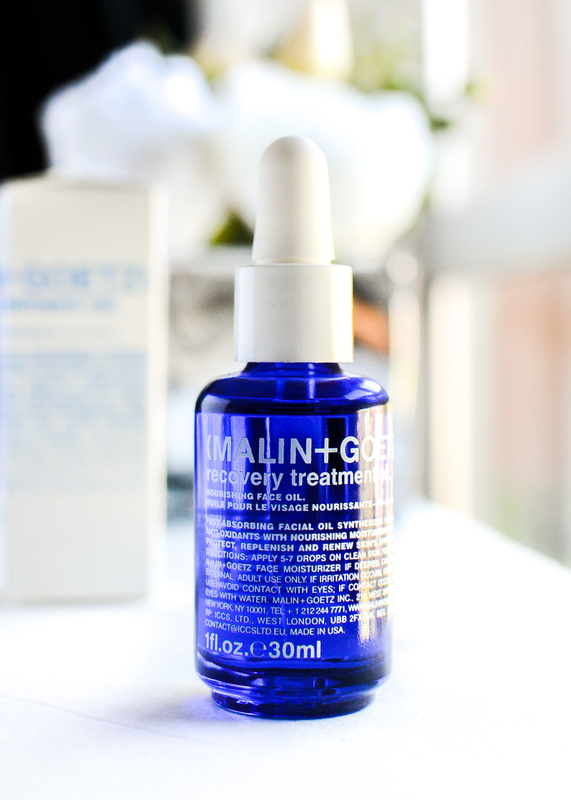 Malin Goetz Recovery Treatment Facial Oil seems like a good way to add antiaging ingredients to my skincare routine. With my skin type, I like to customize my skincare routine, changing and adding products depending on how dry or oily my skin is at the moment, and this oil has been good for days when my skin is looking dull or dry. *Post features a PR sample.